The number one question I get asked by brands listening to my podcast and reading my weekly newsletter is what are the best reports I need to drive sales and grow my brand? Sadly, most brands use reports that do not reflect how consumers buy their products – even the big brands. This is an expensive and huge waste of money. You’ve most likely been told that bringing canned topline reports to your retail appointments is critical to your success. The reality is that most canned topline reports are simply a waste of ink and paper. Sounds like a pretty harsh statement, let me explain. Savvy retailers already know how your brand is performing on their shelves. They do not need a report confirming what they already know. They do not need a report telling them the exact same thing every other brand is telling them – even with your unique spin. What they REALLY need are actionable insights that they do not have access to on their own. They need actionable insights that your competitors are not providing them. 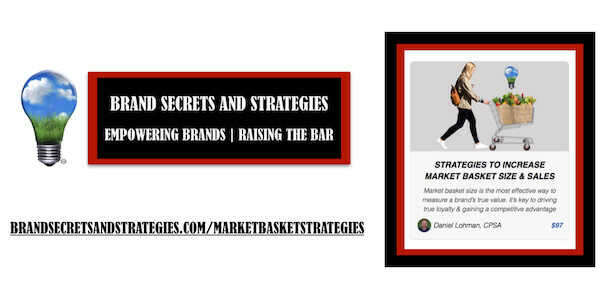 Retailers also need you to help them compete more effectively in their market. Every retailer needs to know that if they put your product on their shelves, that it will grow category sales and increase shopper traffic in their stores. 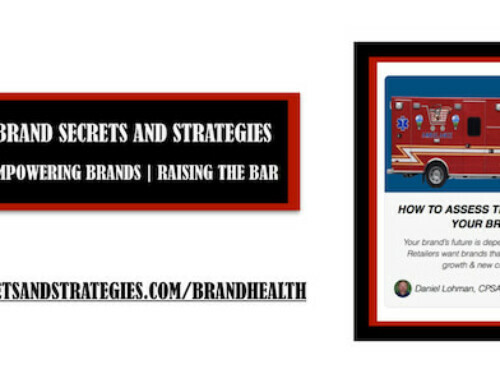 Once that happens, you then need to validate and reinforce that your brand deserves to remain on their shelves because it continues to achieve those results. The most effective way to do this is with sales data – fact-based selling. It’s critical that you use the right kind of data to tell your selling story and differentiate your brand from your competitors. 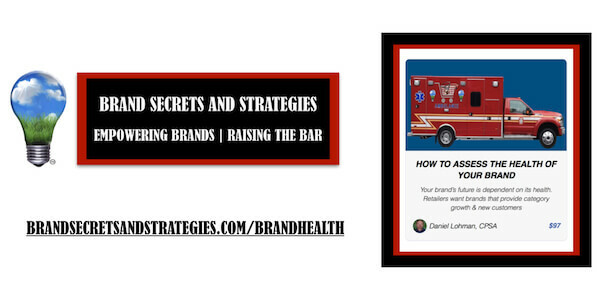 You’ve been told to focus on how your brand ranks in the category against other brands. Natural brands do not have the velocity to rank high in mainstream stores. Those reports actually paint your brand in a dim light. 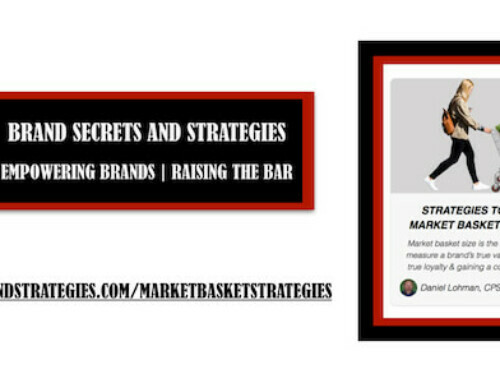 Traditional methodologies focus exclusively on metrics that overlook the contribution natural brands provide. I have a much better solution that has a long successful track record! Brands need to go beyond canned topline reports. Brands need to learn how to MINE THE DATA MAZE. They need to include actionable insights to tell a compelling sales story – what retailers REALLY want! Before we go any further, let me help frame this topic. When I say that I’m an expert category manager, it’s just not a title. I am the first person certified at the highest level of category management proficiency, a Certified Professional Strategic Advisor (CPSA). Throughout my career I’ve had the opportunity to work with some of the largest, most iconic brands on the planet as well as some of the most innovative disruptive brands in natural. A big part of my career has been focused on getting the most out of the insights from the data and then identifying the very best story to help support your brand. Early in my career, category management was focused primarily on populating templated reports – canned topline reports. We’ll talk more about that in a little bit. I was instrumental in developing several of the templated reports retailers require other brands to complete while working for Kimberly Clark and Unilever. For example, the templated reports you are required to complete for your category reviews. Have you ever seen the distribution tracker from Spins? I developed that report in addition to several other advanced reporting tools. I was instrumental in getting them to start selling retailer and store level data. I share this because I know what’s important to retailers and what they REALLY want. I don’t share this to impress you. I share this to impress upon you, the importance to know your numbers. This is the foundation for everything you do. It’s how you stand out on a crowded shelf. It determines how long your brand will be around, for one week, one year, one decade, or longer. Knowing your numbers requires a lot more than printing a canned topline report. It requires that you be able to understand what the report is telling you and how that impacts your brand story. Sadly, this is a skill that is not taught in natural – until now. While canned topline reports are a great place to begin your analysis, they will not differentiate you from your competition. They will not answer your most pressing questions and they will not give you a clear blueprint for future growth. For that you need to know your numbers and that begins with understanding how to mine the data maze. 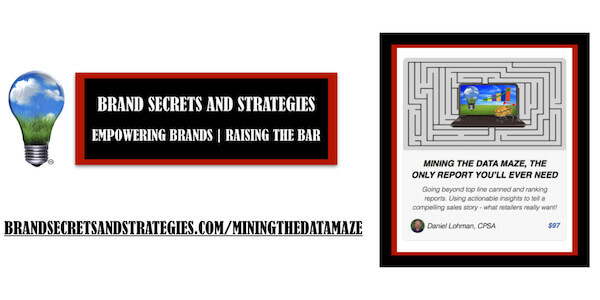 This is exactly why I created the course: Mining The Data Maze – The Only Report You Will Ever Need. In this online mini-course, I show you an innovative report that will help differentiate you from your competition. It will provide the insights retailers REALLY want and it will give you a roadmap for success. It can add rocket fuel to your growth. Click here to learn more about this innovative approach to helping you get more products onto more retailer’s shelves and into the hands of more shoppers.